Dan and I are big kids. We love to mess around, we love playing with Alfie’s toys and we love Pixar films. 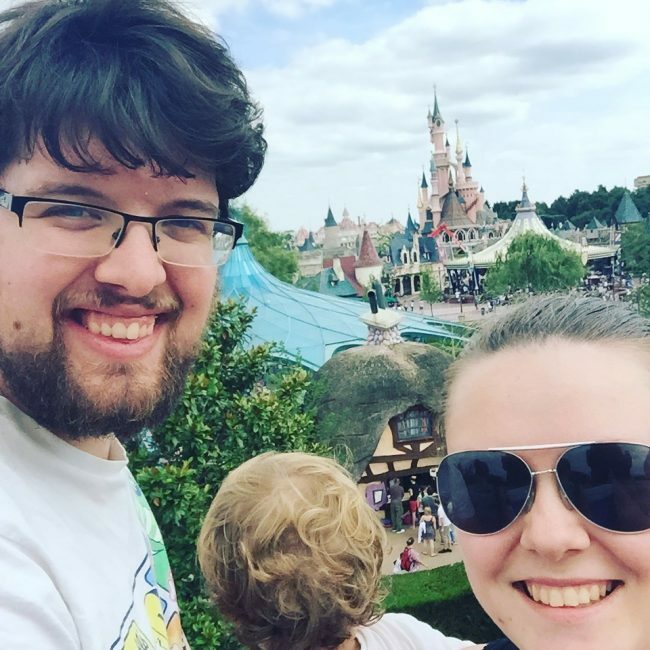 So booking Disneyland Paris for our honeymoon was one of the easiest, and definitely one of the best, decisions we have EVER made. We went for five days and four nights and stayed in one of the Disney hotels, Hotel Cheyenne. We stayed on a half board plus basis. 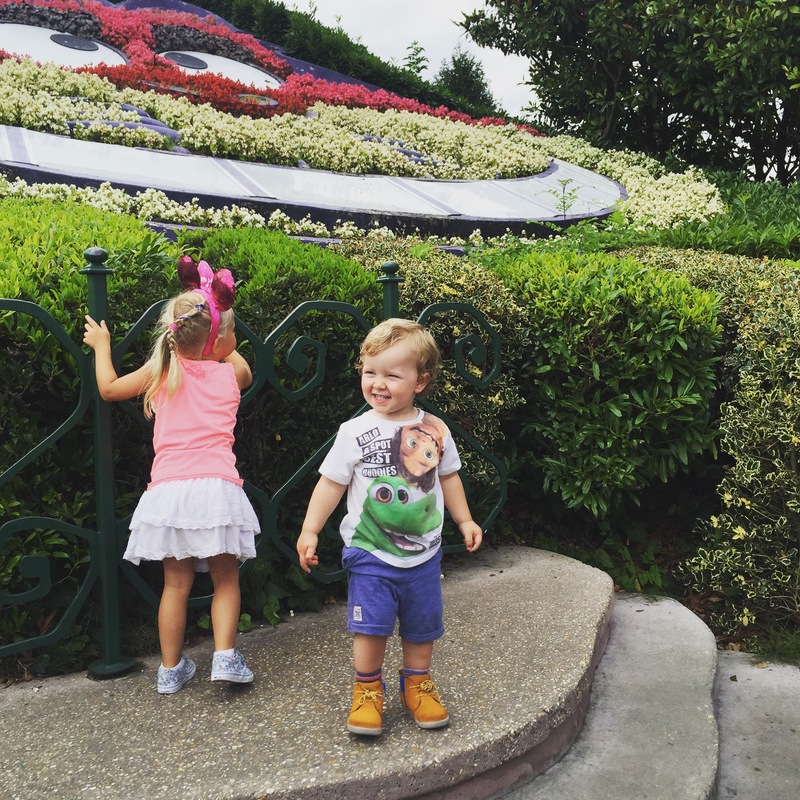 It included passes to both Disney Parks, breakfast, four meals and a four afternoon snacks. I’m going to individually review the different aspects of Disney, as you can imagine there is a lot to it and lots of different things to do. 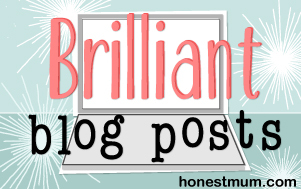 I want this to be about the best bits for those who have booked or those who are thinking of going to Disneyland Paris! You have to go to Cafe Mickey. We had two meals, one lunch and one dinner, there and it is AMAZING. You have a lovely three course meal and you get to meet some Disney Characters… What more do you want from a Disney holiday?! The characters walk around every table stopping to greet you and pose for photos. You actually get to meet a good number of characters and they do stay at your table for a while. Alfie was not a fan at first, although they are amazing Disney characters for me and Dan, they are a bit big and scary for the little ones. 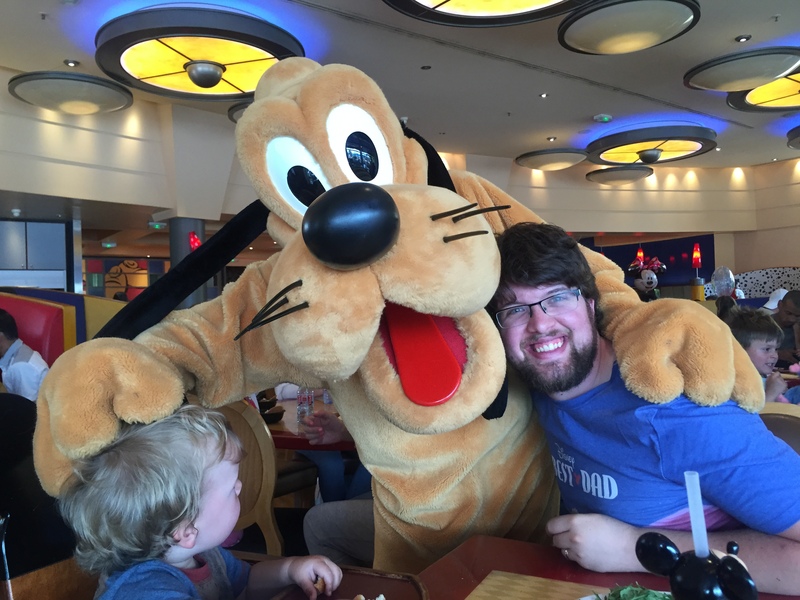 He did eventually warm to them and he wanted to see “dog, dog” (Pluto and Goofy) lots! Some of the characters we saw were Minnie and Mickey Mouse, Goofy, Pluto, Tigger and a few more! You would think that it would be great for kids, it is, but it’s even better for big kids… I could not recommend Cafe Mickey any higher, it is fantastic!! At 5.30pm every evening there is a Disney Parade. It is a parade that goes from the Disney castle along the main street of the park. It has numerous floats that have different Disney characters and film sets on. The different floats included Minnie and Mickey, Winnie the Pooh, Disney Princesses, Peter Pan and Tinkerbell, the list goes on. The floats are beautifully made and you can really feel the Disney magic as you stand to watch the parade go by! Alfie slept through the first one we saw and me and Dan enjoyed it even without him… I told you, we are big kids! The show was a projector that projected film onto the castle and used the spray from the fountains. It was genius and so well made. If you love Disney films and songs then you will love this. Add a spectacular firework display and this is then one of the most stunning things I’ve ever seen. The show itself is quite long, but it is so worth staying up to see. I’d suggest putting little ones to bed early and then getting them up for it. You do not want to miss it! The Disneyland Park is the main park with lots of rides, parades, restaurants, shops and the Disney Castle. I was worried about Alfie not being able to go on rides, but there was plenty for him to go on. 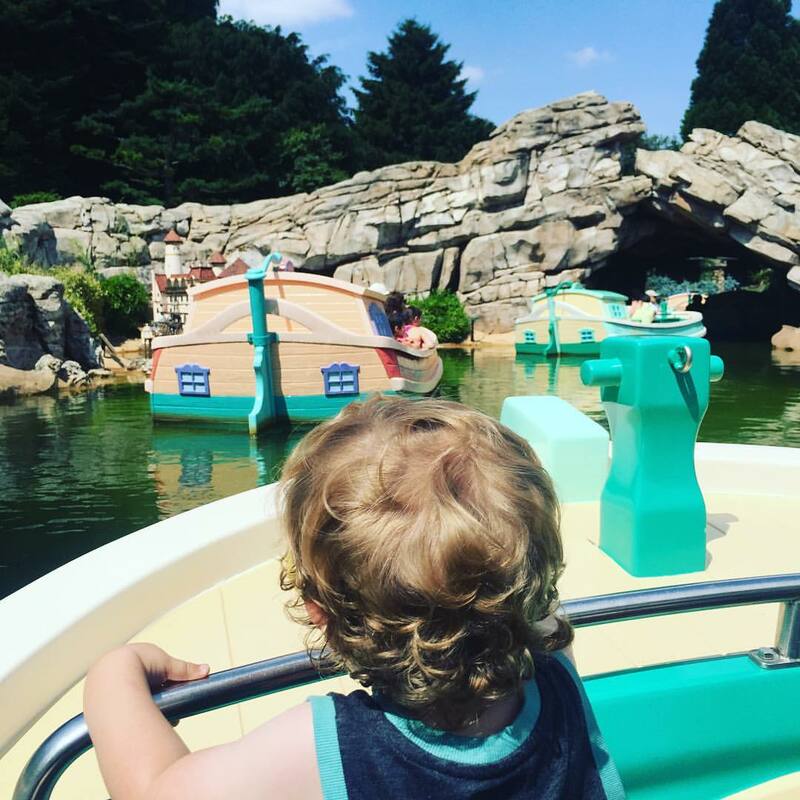 He loves boats and trains, so those rides that were boats and trains went down well, too well maybe… Alfie’s favourite ride was the ‘It’s a small world’ ride. You sit in a boat and it takes you round whilst you listen to it’s a small world over and over in different languages, I didn’t love it, but Alfie did! The tea cups were hilarious and was such a great family friendly ride that we all enjoyed, as was Alice in Wonderland’s maze! There are two parks at Disneyland, the second one being the WD studios park. 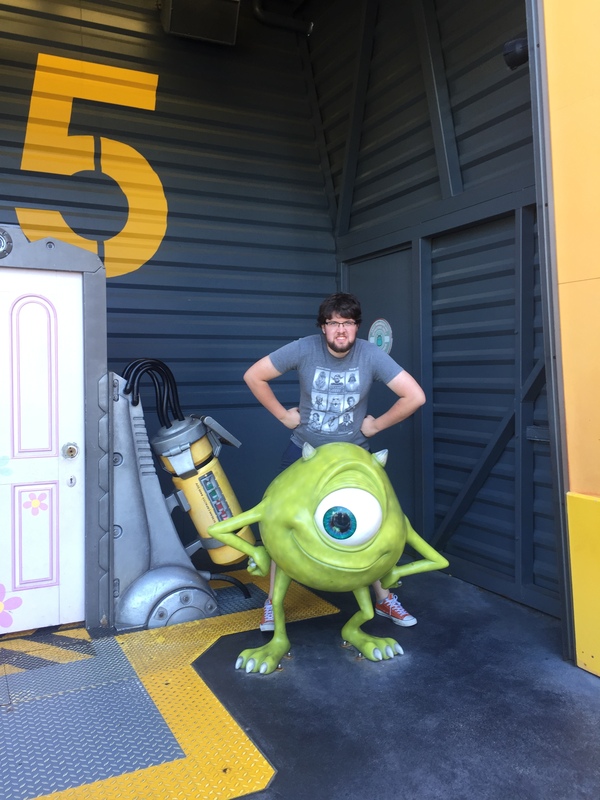 It’s based on the behind the scenes of the films, it has some rides, stunt shows, and monsters inc sets for posing for photos at! Disneyland is expensive. However, if you love Disney, or if you have kids that love Disney then it is worth every penny! We had the most amazing honeymoon. Would we have had a better time without Alfie? Maybe we’d have done a little bit more. 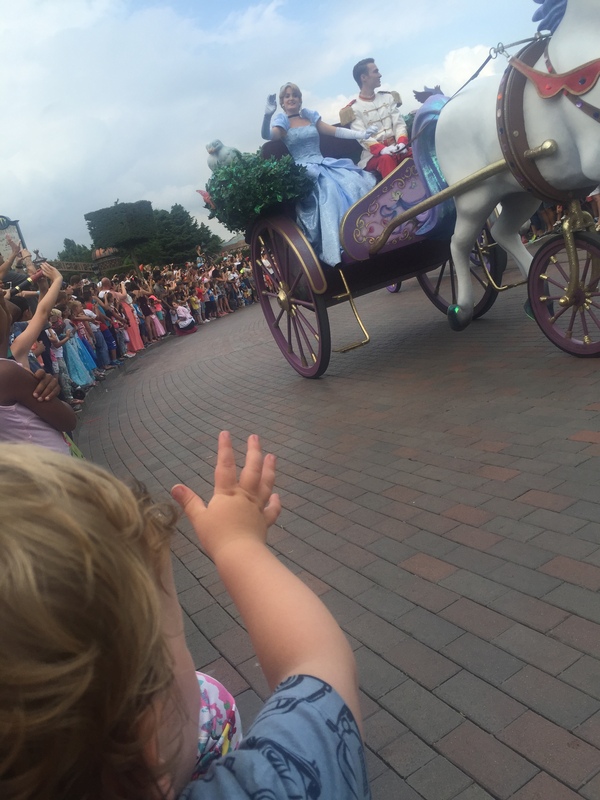 Although seeing Alfie explore Disneyland and by seeing everything through his eyes made it a million times better. Nothing will ever make you feel better than seeing your little boys eyes light up because they are having the time of their life. I’m so glad we took you with us Alfie George! ← When is the ‘right time’ to have another baby? Pingback: Our Peppa Pig and Paulton’s Park Adventures!